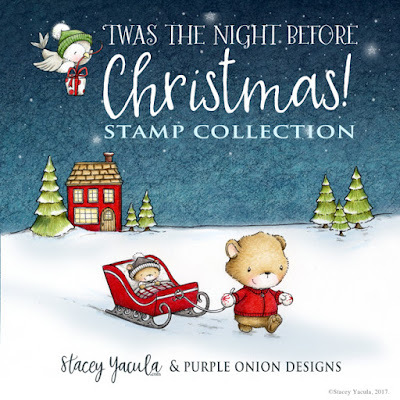 'Twas The Night Before Christmas ~ The new winter holiday stamps collection that is illustrated by Stacey Yacula is available at Purple Onion Designs website now! 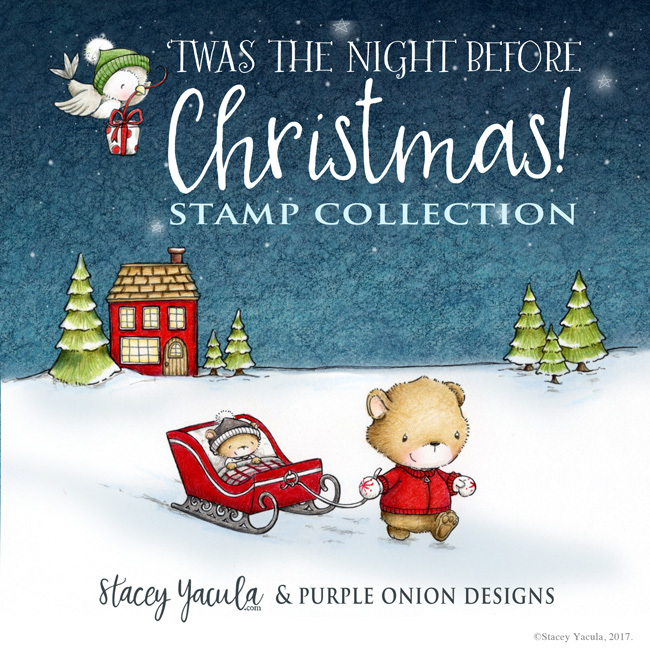 The new collection consist of 22 winter themed stamps with many cute critters and background stamps that you can always coordinate with prior collection for endless possibilities of Christmas themed cards! For a limited period, the whole collection of 'Twas The Night Before Christmas will be available for USD95.00 and that is a 30% savings! Offer is till 19 November. 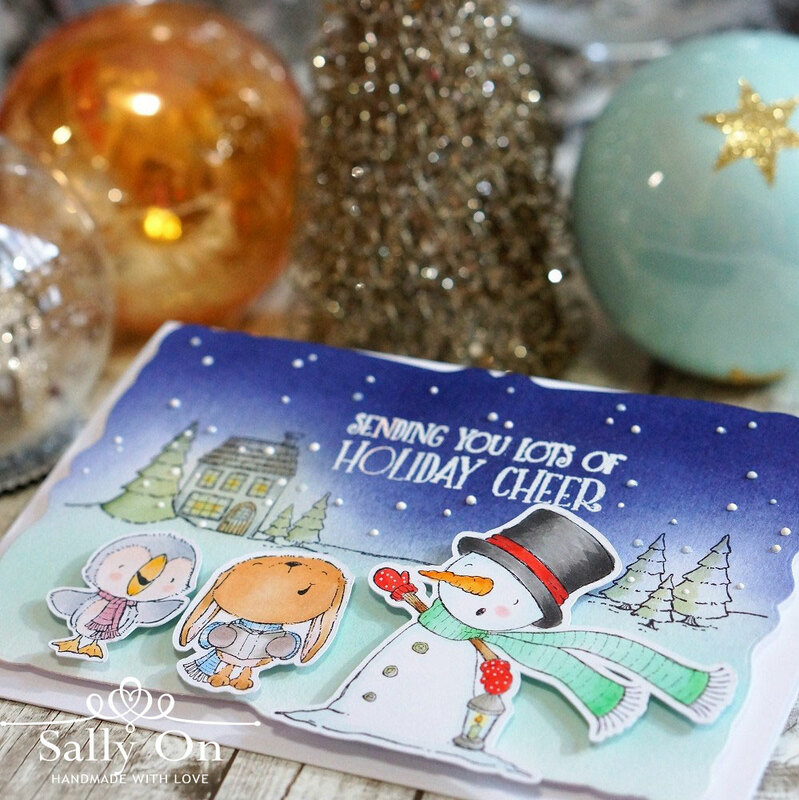 Here is a Christmas card I made using 2 stamps from the 'Twas The Night Before Christmas. Stamps used: Home Sweet Home (horizon) new!, Yule (snowman with lantern) new!, snowball (bunny singing) and Mistletoe (penguin singing). All the stamps of this card are coloured with Copic markers and the background blended with distress inks. 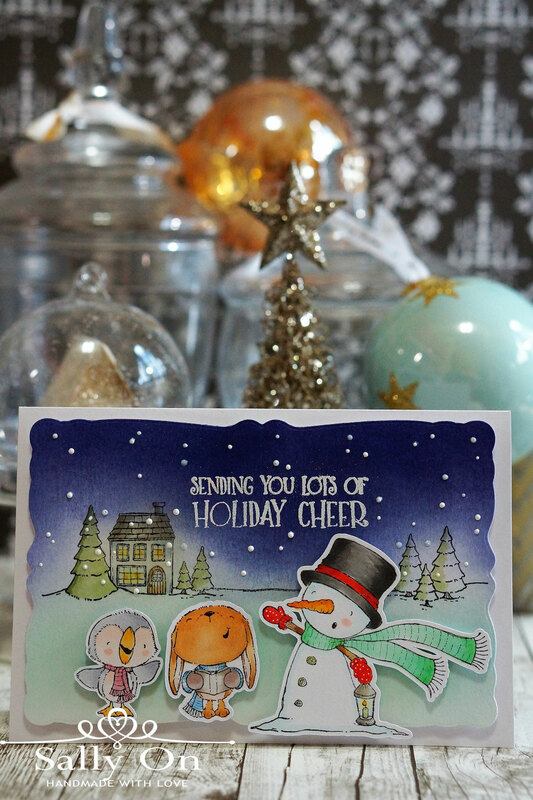 I also used Ranger white enamel accents to make the little drops of white dots in the background for a snow fall effect on the card. I love how it adds the 3D dots effects! 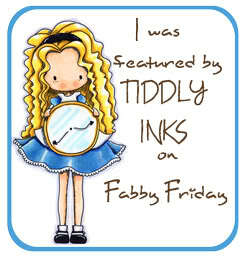 I really hope you like what I've shared today ~ the new collection and the new card that I've made! 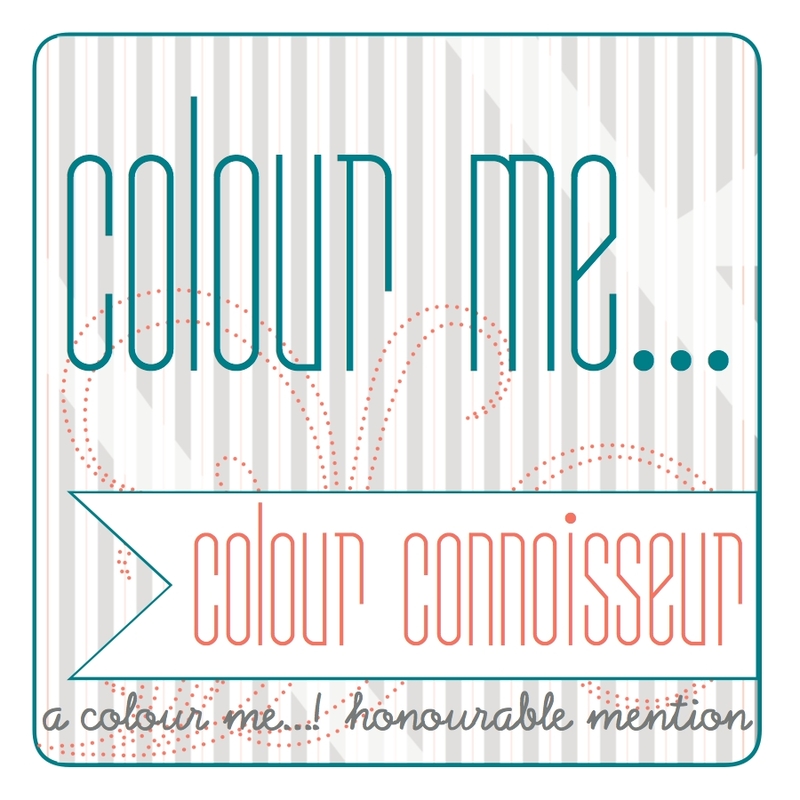 :) For more inspiring projects just head over to Purple Onion Designs blog to see more beautiful projects from the design team! Remember to check back here in a few day's time to see more of the projects I've done using 'Twas The Night Before Christmas.